World No.4 Chinese player Chen Long lost unexpectedly to Antonsen in French Open this year and the revenge was done in last week’s China Open. 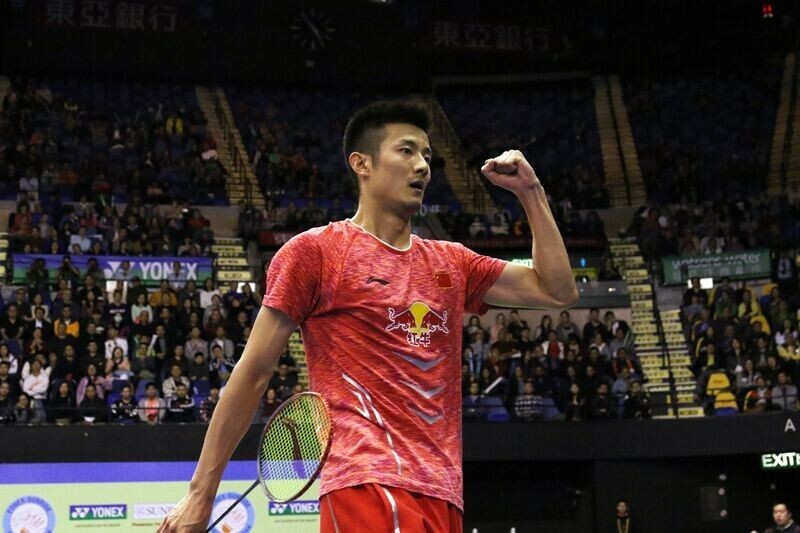 With his girlfriend Wang Shi Xian’s support, Chen have a thrilling semi-final against Antonsen. He took the first game by 21:14. However, He lost the second one by 18: 21 to Antonsen’s strong smash when leading 18:17. In the final game, Chen reverted and have a 20: 15 lead. Although Antonsen saved 2 match points, he still couldn’t stop Chen’s victory as he hit it the shuttlecock out of bound and lost 17: 21. The Men’s Singles Final might be rematch of last year’s Olympic Finals, Chen might face Lee Chong Wei if Lee defeated Shi Yi Qi. In the Women’s Singles’ semi-final, World No.1 Tai Tzu Ying and World No.5 Sung Ji Hyun have 4 head to head records this year and Tai won all of them. Tai also has the support from Hong Kong fans and it made the match felt like home. She took the first game 21:9 from losing 1: 4. In the second, Sung took 4 points from 17:18 and tie the match by 21: 18. In the final game, Tai reverted and has a 10:3 lead. She then took another 7 point and extend the gap. She took the final game by 21: 7. Tai said, ‘Sung was mastering the second game. It made me ran all over the court. I have to thank the fans in Hong Kong, especially during the crucial points. This is a tough match. I hope I can keep my strength for tomorrow.’ Tai will face Ratchanok Intanon of Thailand of Pusarla V. Sindhu of India. Ratchanok lost in the final last year to Tai but she beat Tai in Danmark and China Open. Sindu has lost to Tai twice this year. Tai thought both players are difficult to play. In Mixed Doubles, Zheng Siwei/Huang Yaqiong are fighting for their second trophy after Macau Grand Prix Gold. They beat their fellow opponent seed 4 Wang Yilyu/Huang Dongping by 21:10, 21:18 in the semi-final. In Women’s Doubles, Chen Qingchen/Jia Yifan knocked out Thai pair Jongkolphan Kititharakul/Rawinda Prajongjai by 21:19, 21:10. Mads Conrad-Petersen/Mads Pieler Kolding of Denmark defeated Takuto Inoue/Yuki Kanekoby 20: 22, 22: 20, 21:15 in a 72 minute match.